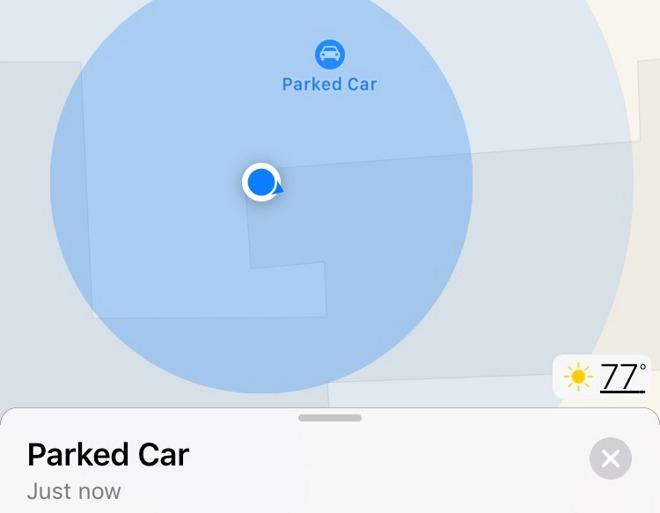 Apple Map will remember where you parked you car. Always busy, over loaded with multiple thoughts and often forget where did you park your car?. There is good news if you are a APPLE user. In apple IOS 10 update as stated by Apple Insider Apple Maps will remember where you parked your car. This update will make drivers life a lot easier as it will help them remember the exact car parked location with directions. So forgetting where you parked your car and wasting time to find it will soon be a thing of the past. What happens is, you stop your car, park it, Apple Maps for direction automatically drops a PIN to the exact location (happens when the location is different from the user’s home address which is marked as the end of the trip). “Parked car” option will show up on the Apple Maps lock screen widget for easy access, if a user has it enabled in iOS 10.